MONTREAL -- Canadian companies could be serious contenders in the global self-driving vehicle race, experts have suggested after Magna International Inc. fielded the country's latest entry with the debut of the auto part giant's own autonomous technology. 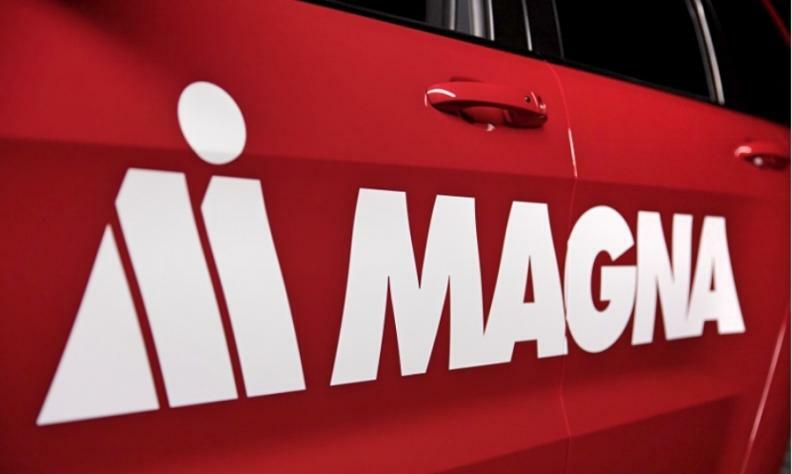 Toronto-area auto parts supplier Magna launched its Max4 Autonomous Driving Platform last week into a market that is gaining interest from most major automakers, as well as technology firms such as Google, Apple and Intel. Magna's addition to the race focuses on making the technology components that drive autonomous vehicles nearly invisible. While most of the innovations in this emerging sector are coming out of Europe, the U.S. and Japan, Canada's contributions put the country's entrants, including former tech darling Blackberry Ltd., in a strong position to win a slice of the global market, said Paul Godsmark, chief technology officer for the Canadian Automated Vehicles Centre of Excellence. "The more we do now, the more government supports the development of technology companies... the bigger our slice of the pie will be," Godsmark said. Canada may have been behind the curve a few years ago, but participation by Magna, Blackberry QNX, General Motors and Uber in this country suggests that Canadian talent is being tapped to develop the nascent sector. "We are clearly supporting companies that are near the forefront of what's going on," Godsmark said. Canada could reap $65 billion in potential benefits from autonomous vehicle developments, mainly from fewer collisions, less time in cars, fuel savings and reduced congestion, according to a 2015 report from the Conference Board of Canada. An upcoming vote in the U.S. Congress to speed up the deployment of self-driving cars could increase competitive pressure on Canada, where Ontario is the only province that allows testing of self-driving cars on public roads. Regulation is the next frontier for the market, said Don Mathieson, mayor of the southwestern Ontario town of Stratford, which was named by the province as the strategic demonstration hub for autonomous and connected cars. He believes his town's experiment could help put it on the map for more than just its Shakespeare festival. "I think we're going to be one of those communities that's going to help shape what the future is going to look like." However, industry observers say that while models that require human surveillance will likely be available within a few years, it could be decades before fully autonomous units are beyond a novelty for the rich. "I think truly autonomous is many, many years away," said John Wall, head of Blackberry QNX. QNX is one of the Canadian firms jumping aboard the market's potential. It has been working to parlay its experience in developing secure operating systems to build software that can be used in automated vehicles. It opened an autonomous vehicle innovation centre in Ottawa last December, where it has a prototype car to develop software and new frameworks. Wall said autonomous driving is pushing the adoption of new automotive architecture, systems that control a car's operations that are more powerful, smaller and able to be adapted remotely. He added that the autonomous vehicle race is also driving developments in areas like artificial intelligence and neural network computing. "Our belief at Blackberry QNX is that autonomous driving is just the beginning," Wall said. "The same type of requirements will be needed for any automation in the future."